The 8th Fajr International Festival of Visual Arts displayed at Saba Art and Cultural Institute works by over 200 Iranian and foreign artists coming from different countries including Tunisia, Pakistan, Turkey, Italy, Cuba and Kyrgyzstan. The Niavaran Cultural Center hosted a side-section exhibit of calligraphy and miniature works under the title “Fajr and National Art” and a selection of documentaries focusing on different visual arts including painting, sculpture, miniature, pottery and ceramics was screened at the Saba Institute as well as at the cinematheque of the Tehran Museum of Contemporary Art. A day dedicated to Mexican art, organized in collaboration with the Mexican Embassy, included thirty five lithographies by José Guadalupe Posada (1852–1913), considered the precursor of Mexican folk art, photos by Tina Modotti (1896-1942) that reflect the struggle of the less privileged of the post-Mexican Revolution period and sculptures by Gabriela Rodríguez, fifteen pieces commemorating the International Year of Light, celebration promoted by Mexico at the United Nations. This entry was posted in Uncategorized and tagged Art, Fajr International Festival of Visual Arts, International, Iran, Photos, Video on April 2, 2016 by socialinform. 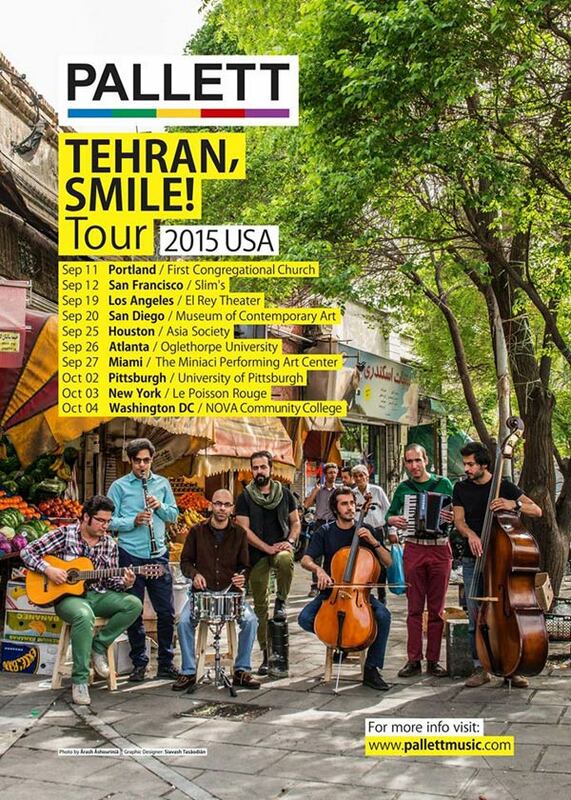 Iran’s Pallet music band has launched its new international concert tour with a successful performance in the US city of Portland. The group went on stage in Portland, Oregon on September 11. The tour will continue with concerts in 11 other US cities and wrap up in Washington D.C on October 4. Vocalist Omid Nemati, cellist Mahyar Tahmasebi, guitarist Kaveh Salehi and double-bass player Dariush Azar accompany Esfandarmaz during the tour. The fusion band Pallet has held many concerts in Iran and other countries such as France, Germany, Sweden, Italy and the Netherlands. This entry was posted in music and arts and tagged Iran, Music, USA, Video on September 19, 2015 by socialinform. The 4th Persian Film Festival is on from September 3rd to 6th at Palace Norton Street Cinemas, showcasing the best of Iranian cinema and the Persian speaking world. Over four days the festival offers its viewers a great line-up of 22 films including features, documentaries, short films and animations, and Q&A sessions with filmmakers from Iran, USA and Australia. 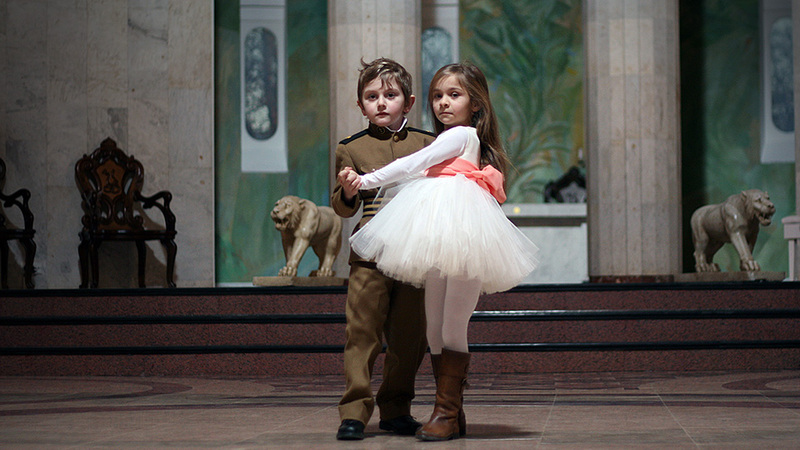 The festival is hosting a free screening of a number of award winning short films and animations from across Iran and from Iranian filmmakers in Australia, including the screening of Oscar nominated Simorgh by Meghdad Asadi, and current official selection at MIFF 2015 The Phoenix by Nora Nasiri, as well as, Sydney based filmmaker’s How Can Be Both by Saeed Sourati. Ranging in subject matter and style, the films offer short glimpses into contemporary and important social and cultural issues. This entry was posted in Cinema and tagged Australia, Cinema, Festival, Film, Iran, Movie, Movies, Sidney, Trailer, USA, Video on September 3, 2015 by socialinform. This entry was posted in Cinema and tagged Art, Cinema, Iran, Video on September 2, 2015 by socialinform. This entry was posted in Uncategorized and tagged Food, Iran, Video on July 15, 2015 by socialinform.